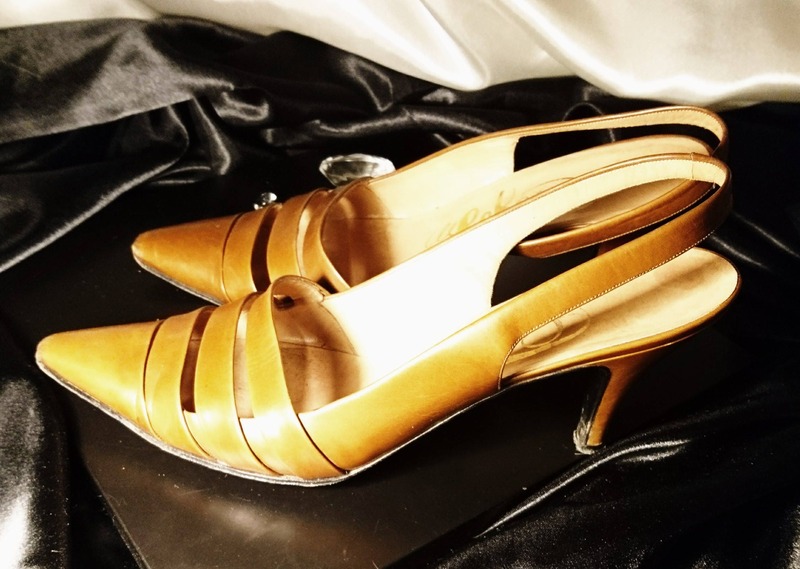 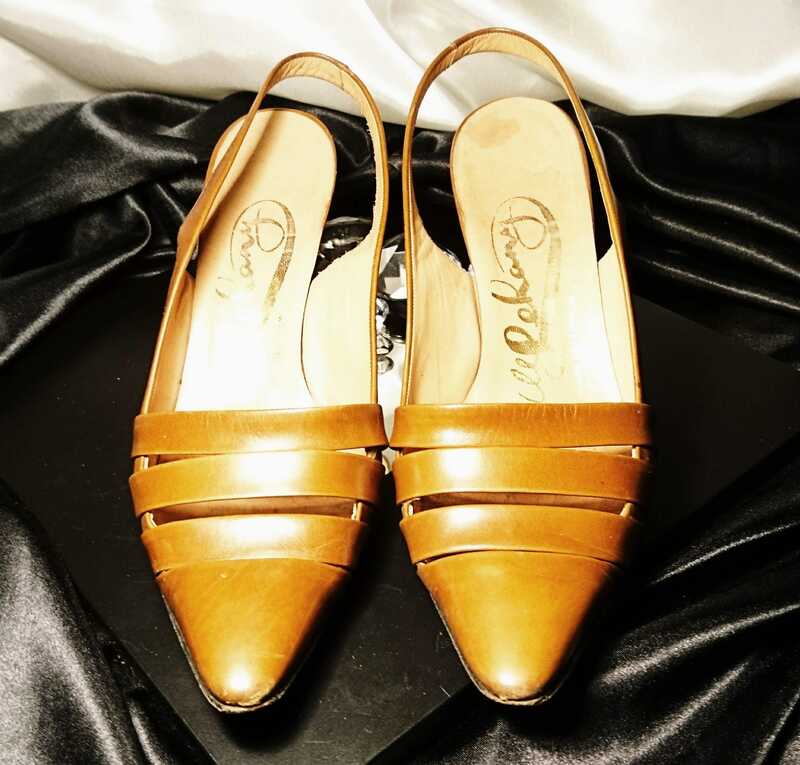 A gorgeous pair of vintage 50's tan leather slingback heels. 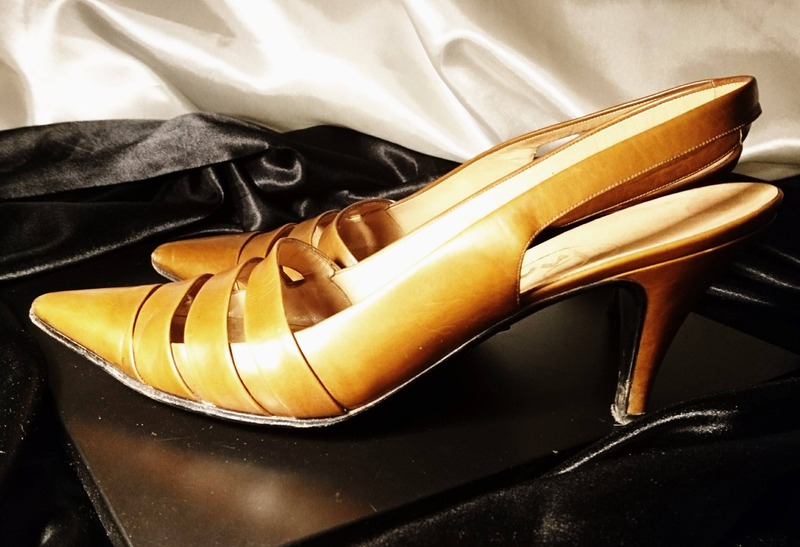 They have open strap detailing at the front and a pointed toe, slingback style backs with no fastening so they just slip on and a mid height stiletto heel. 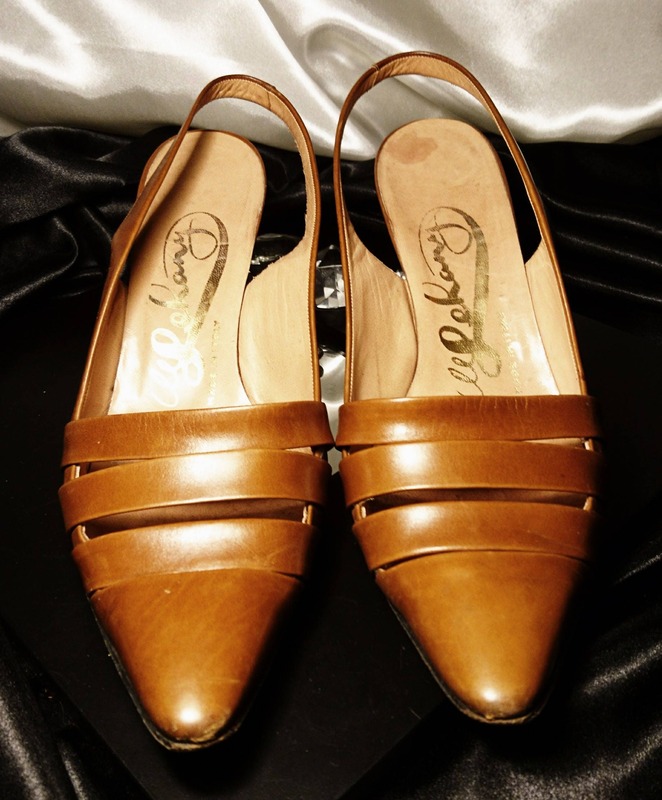 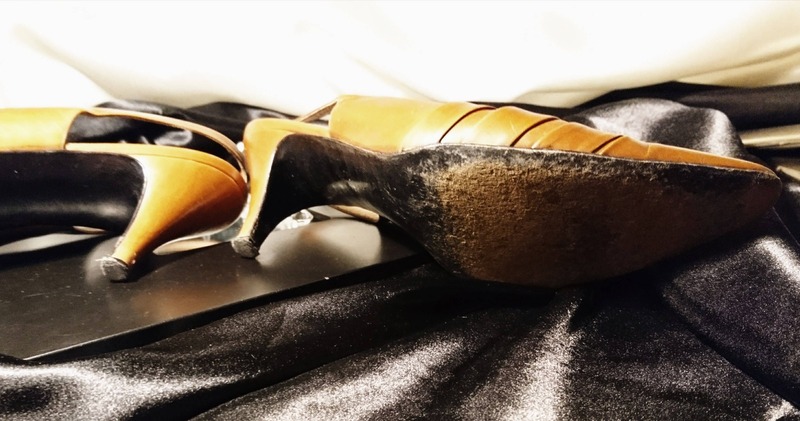 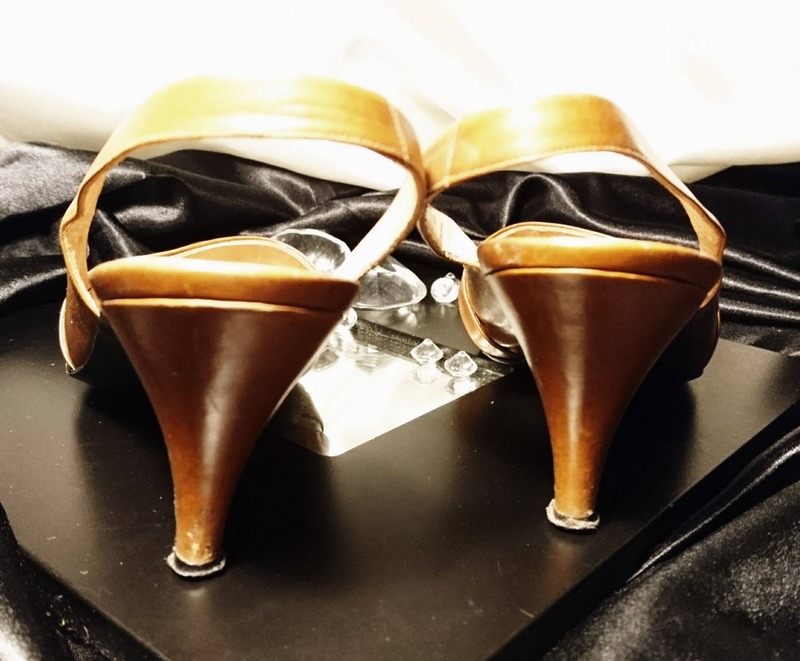 Made by in Italy from high quality Italian leather in the 50's these are iconic vintage high heels. 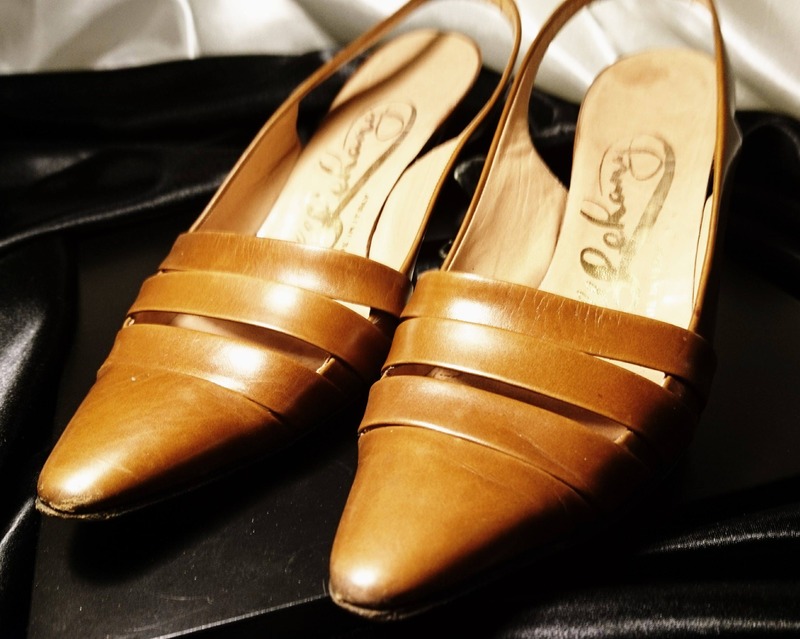 They do show some signs of use mostly on the sole (see photos) but are in good condition internally and more than wearable. 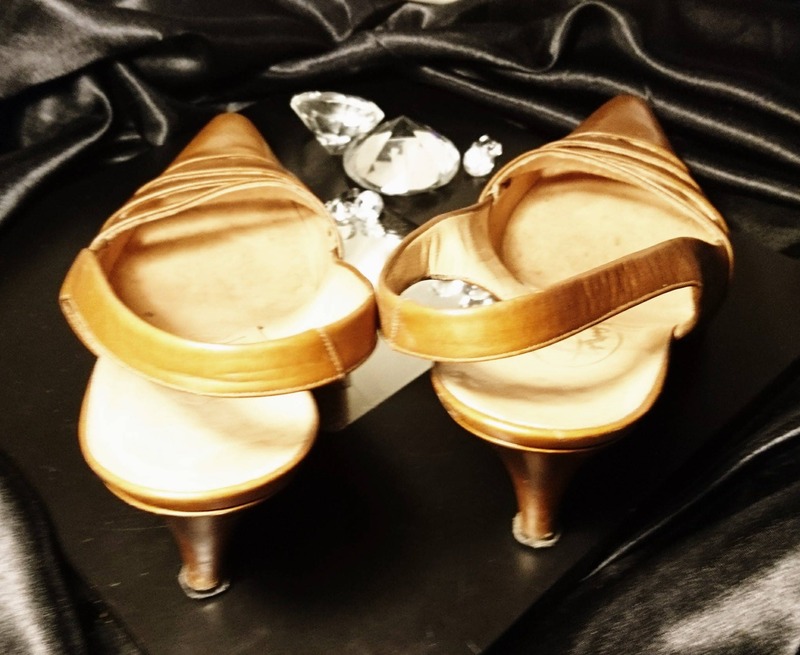 They are marked as a size 36½ the width measurement is a standard width fitting of 3"